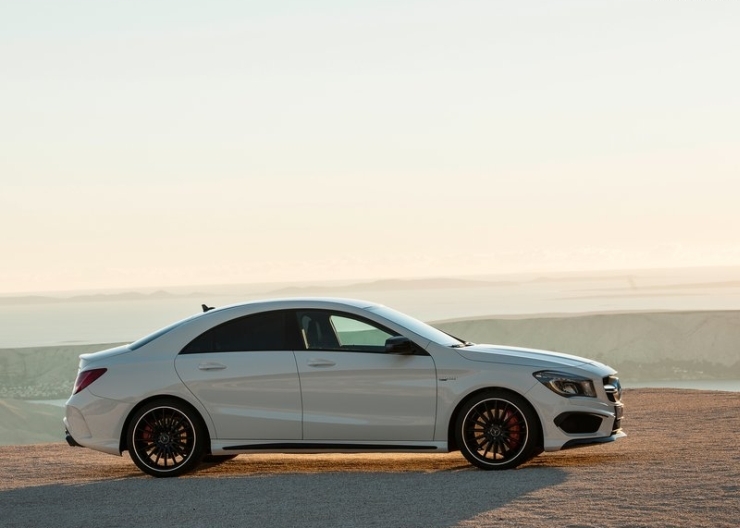 Mercedes Benz India has launched the CLA 45 AMG sportscar through private launch parties held at multiple metro cities such as New Delhi, Mumbai and Chennai, across the country. The official launch will happen on 22nd July. The CLA 45 AMG is the least priced AMG range of sportcars sold in India, with a ex-showroom price tag pegged at 90 68.5 lakh rupees. The car is imported from Germany through the completely built unit (CBU) route and was first showcased at the 2014 Indian Auto Expo. 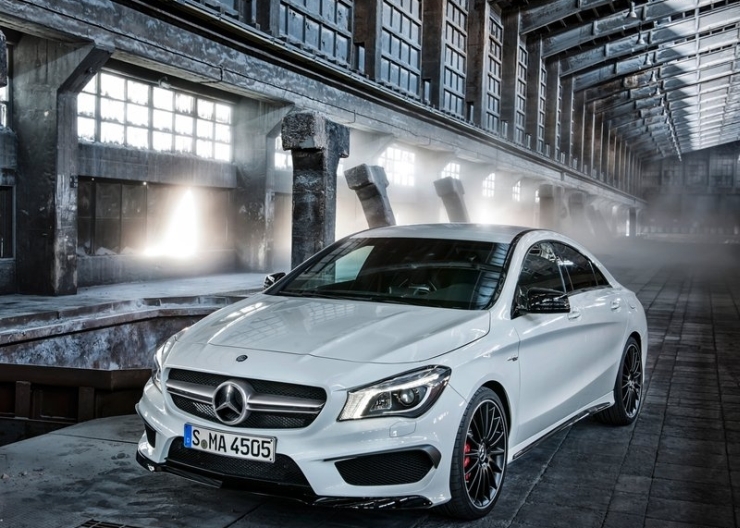 At 68.5 lakh rupees, the CLA45 AMG becomes the least priced high performance car in India, offering stonking value. 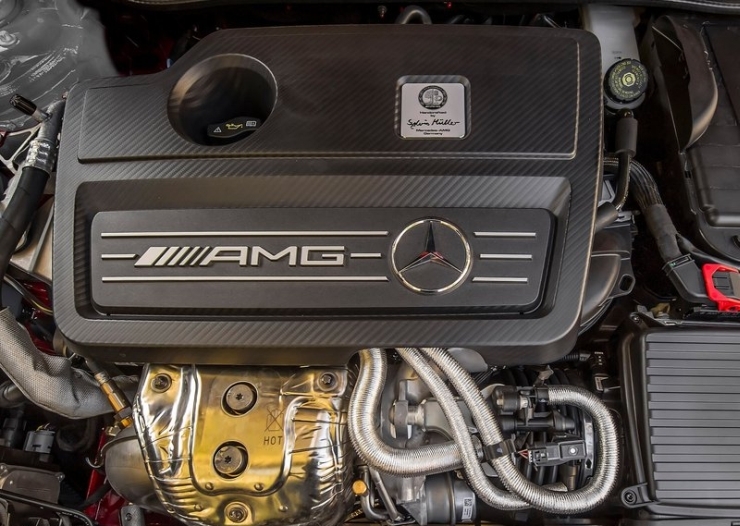 The CLA 45 AMG uses a 2 liter-4 cylinder turbo petrol engine, which is the most powerful series produced 4 cylinder turbo petrol in the world, what with its 360 Bhp-450 Nm outputs. The engine is paired to a 7 speed dual clutch automatic gearbox. 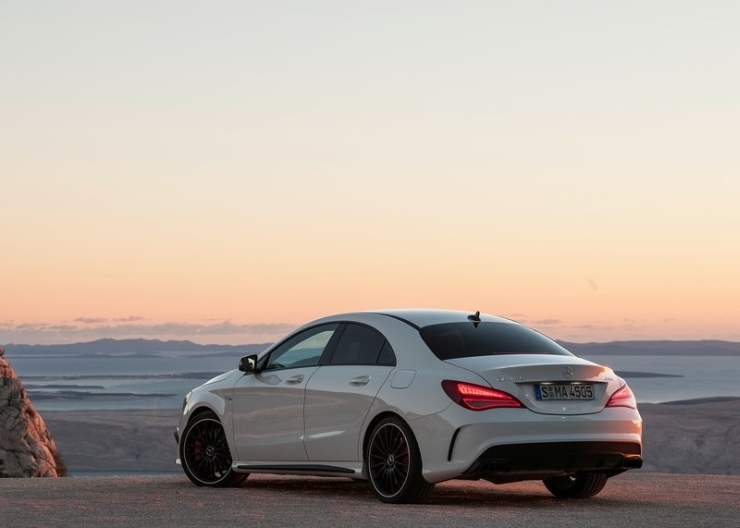 An all wheel drive is standard on the CLA 45 AMG, which gets three, driver selectable modes that alters engine suspension response. The car also gets a “Race Start” function, Mercedes speak for launch control. 0-100 Kph is dispatched in a searingly quick 4.6 seconds with top speed electronically limited at 250 Kph. 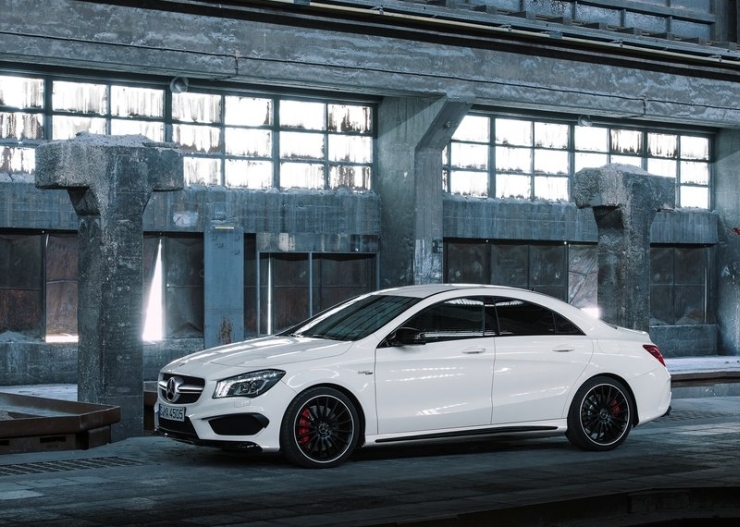 Adding an AMG sports package to the CLA 45 AMG pushes up the top speed to 270 Kph. 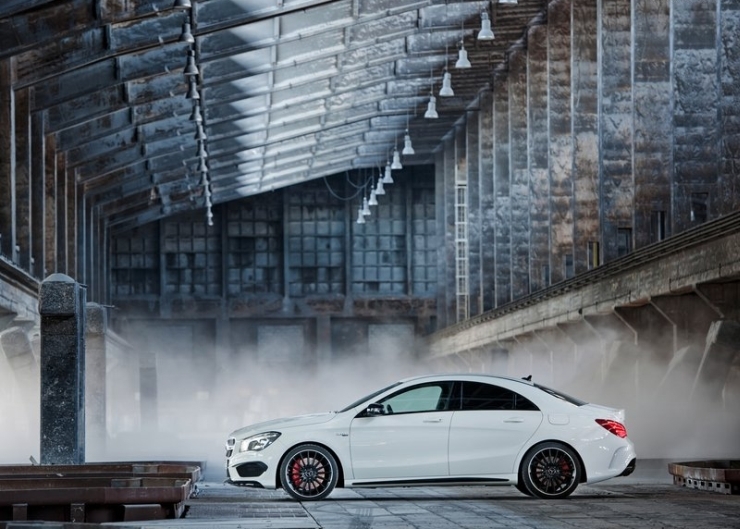 Styling cues on the CLA 45 AMG feature the typical AMG touches, including the sporty body kit, taller wheels and carbon fiber finished wing mirrors on the outside. The interiors follow contrast stitching for the seats and upholstery and drilled aluminum pedals. The car is a four seat, high performance sedan that gets a sloping, coupe-like roof line, which is soon becoming a trademark across Mercedes Benz sedans. 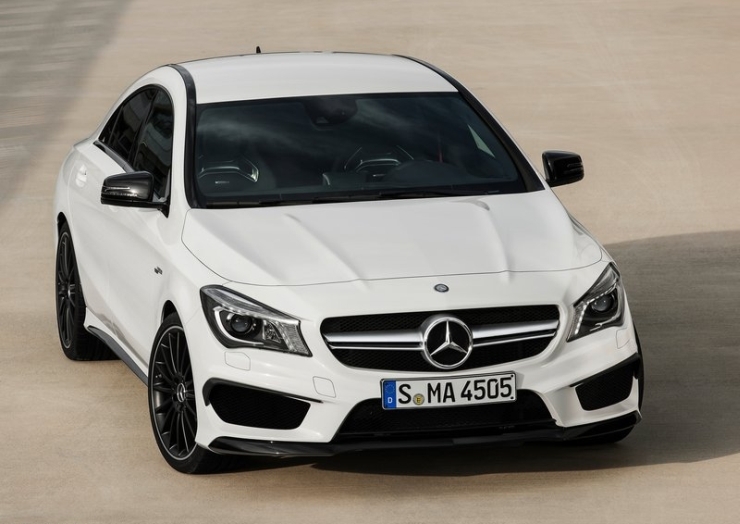 The CLA 45 AMG is based on the Mercedes Benz MFA platform, that also hosts cars such as the A-Class and B-Class hatchbacks. Next year, Mercedes Benz India will launch the lower powered CLA sedan in India, with turbo petrol and turbo diesel engines. 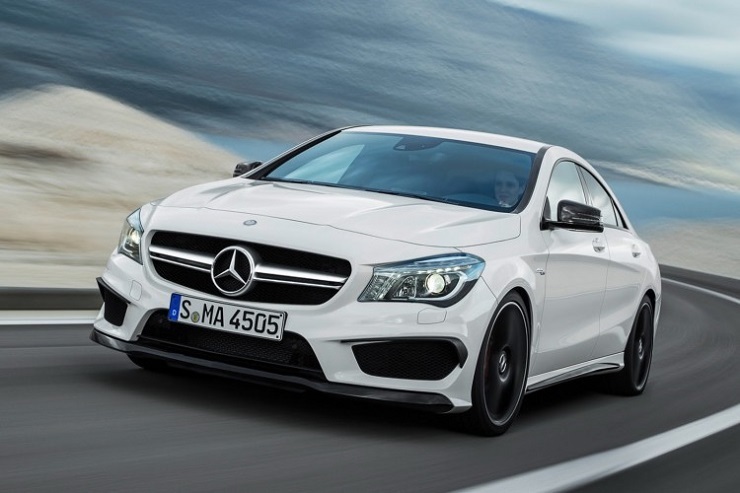 The CLA sedan will be the least priced Mercedes Benz luxury sedan sold in India, primed to take on the Audi A3.